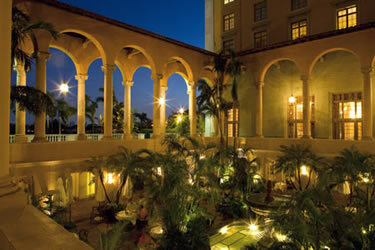 Reflecting the passion and vitality of one of America's most exciting cities, the Historic Biltmore Hotel of Coral Gables has been a favorite of world leaders, celebrities, and sports stars since its opening in the 1920's. 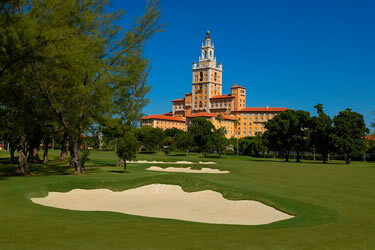 Showcasing championship golf, cosmopolitan dining, a breathtaking spa and premier conference facilities, the Biltmore is the ultimate Miami Golf and Spa resort. Graced with definitive luxury and class, the Biltmore Hotel offers a stunning location in the exclusive Coral Gables area of Miami. 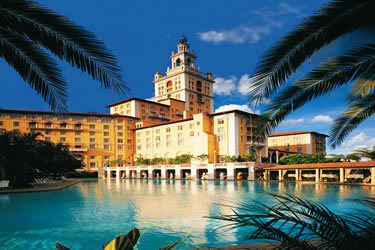 Be embraced by old world charm and beauty while easing into a glamorous escape. No triple or quad occupancy available. To guarantee incidental charges, a credit card is required at time of check-in. Unless notified 24 hours prior to departure date, a one night penalty will apply to departures that occur earlier than the date specified on the original reservation.